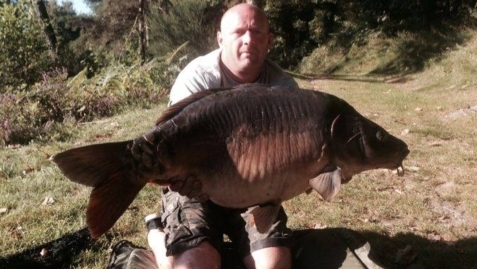 Are you thinking of Carp Fishing in France in 2019 / 2020? Then this is your gateway to a great Carp Fishing Holiday. All year round fishing with Carp to 60lbs plus... in 2 very well stocked lakes. 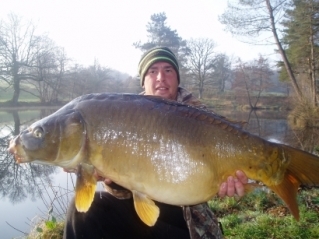 Unlike other fisheries that say they have Big Carp, we really do! 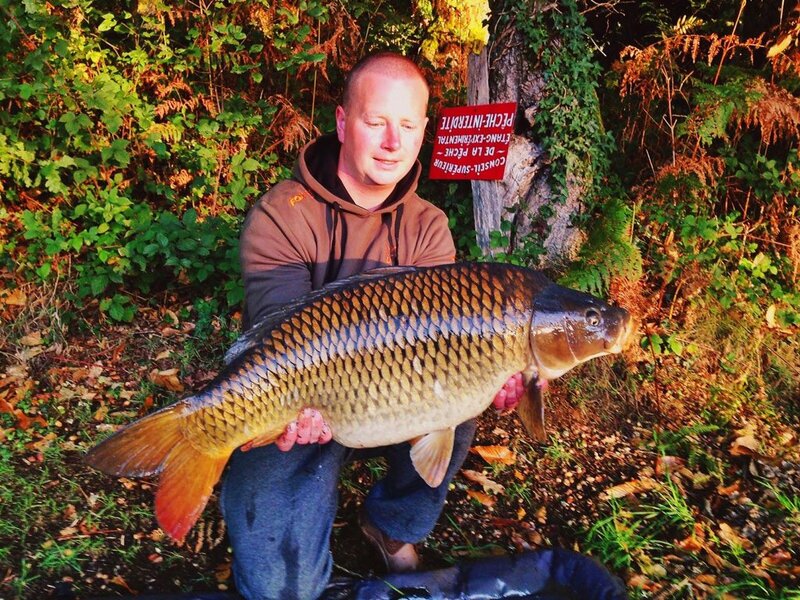 The Very Best Value Carp Fishing in France - only £310 per week each! gear hire and all your fishing for 7 days - And we feed you too! ...(the menu is excellent and all freshly cooked). only £35 deposit per angler. ONE WEEK'S BEST CATCH - 56.8lbs for Mr Lucky! Book with us and you stand a very good chance of landing a fish such as this. 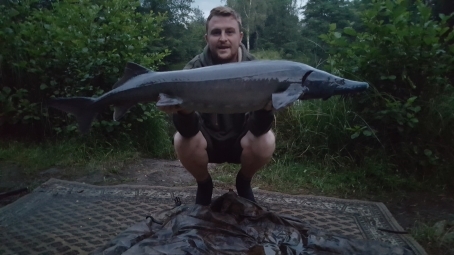 And if you've never caught a sturgeon before... check this out - over 30lbs! 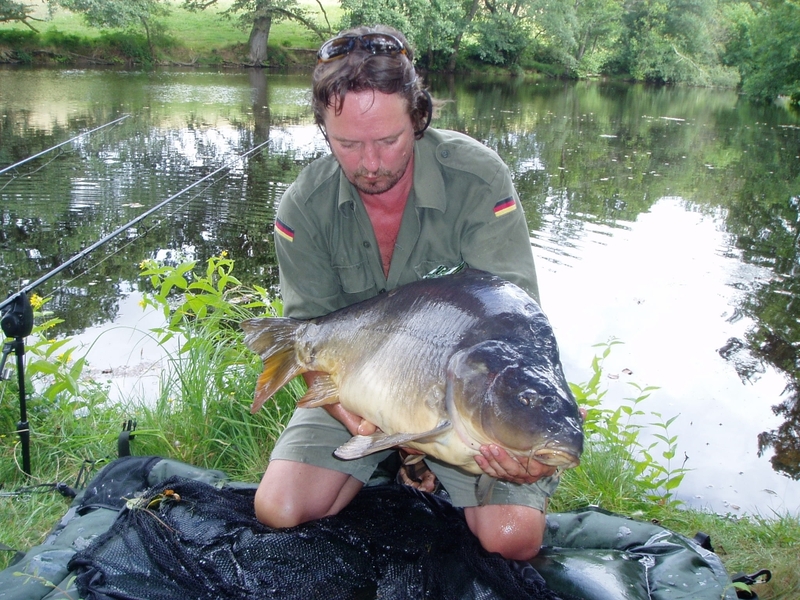 Fish in France.net invites you to come and fish for Big Carp at our 2 fantastic lakes in the beautiful French Lake District. 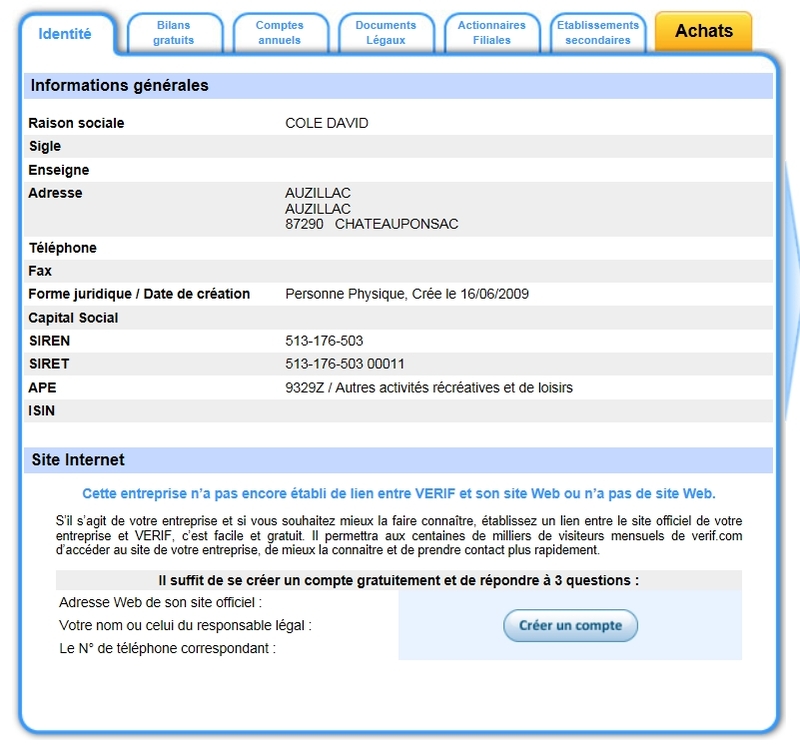 You are especially welcome if it's your first time in France - this is a chance not to be missed. No Drive and Survive - all-inclusive only - but what a deal, check it out! Lakes 1 & 2 = Top Lake and Bottom Lake at Winsome Waters. 2 small lakes in 4 hectares of land with Carp to 60lbs - an awesome place to fish! 24/7 day and night and you don't need a permit to fish with us... Bivvy Heaven!